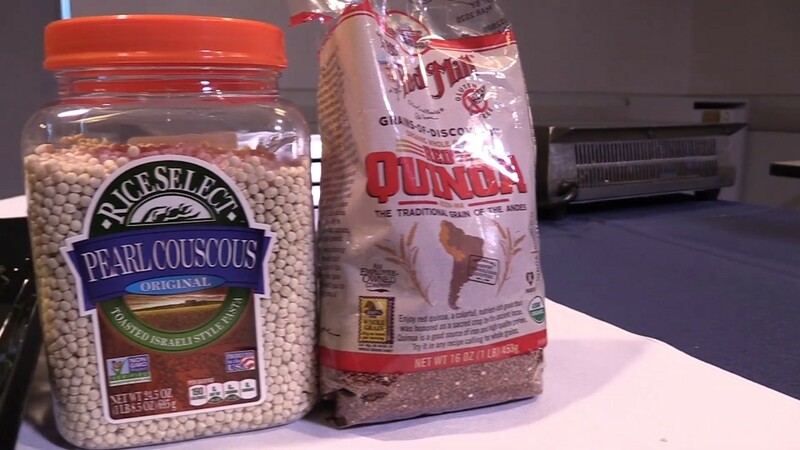 Just in time for the holidays, Overlook Medical Center’s executive chef Todd Daigneault shows us how to cook a turkey with a healthier option for stuffing, including couscous and quinoa. Check out the recipe below! Bring a medium sauce pan to medium heat, add olive oil and toast quinoa. Add broth, carrots, cranberries and herbs. Cover the pan and cook until half the liquid is absorbed and quinoa is slightly tender. Add couscous and peas; cook additional 3 to 5 minutes until couscous becomes al’ dente, then set aside in refrigerator.